SoMa: Here we have the first sneak peeks at the next project on the list for San Francisco's busiest restaurateur/chef, the one and only Charles Phan. He's done Out the Door and the Academy project, but in many ways, this SoMa Grand project is really his second restaurant. As you can see, work is very much in full swing and they're currently aiming for a December debut. Olle Lundberg (Slanted Door, Moss Room) is designing the still-unnamed (suggestions welcome) 100-seat space. 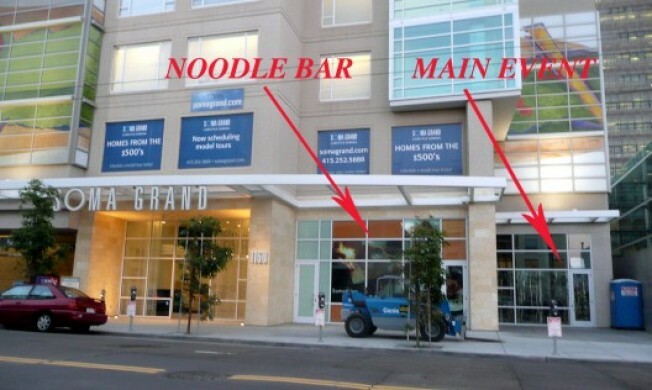 There will be separate entrances for the two pretty self-contained venues: one will be a noodle bar for lunch/take-out, the other a chic Chinese restaurant with dining room, bar and lounge. For clarity's sake, more details on the space are available as captions on the walk-through photos above.